What kind of toxins are lurking in your mattress? When we were kids we were scared of the monsters hiding under our bed, but as adults we should be more concerned with the monsters lurking in our mattress. The average person spends nearly a third of their lifetime sleeping – with their face, nostrils and lungs right above their mattress, inhaling all of the chemicals that are lurking inside. With all that time spent face-on-mattress, it’s incredibly disturbing to know that the standard mattress poses more threats to our health than most people ever realize. Conventional mattresses are required by law to contain dangerous levels of VOCs (volatile organic compounds), including flame retardants which are linked to many health issues, including allergies, asthma, hormone disruption, endocrine problems and cancer. These off-gassing chemicals collect in dust and remain circulating throughout your home for years. Fortunately, there are plenty of natural materials that make great mattresses, including wool, organic cotton and natural latex, and if you look carefully and read labels, you can easily find a safe and healthy mattress. Read on for tips to avoid toxic mattresses that are harmful to your health, and discover all the best natural alternatives. Flame retardants are among the most dangerous additives to conventional mattresses. The U.S. Consumer Product Safety Commission (CPSC) requires mattresses to contain flame retardants by law, even though standard chemical flame retardants have been linked to a slew of health issues including skin irritations, hormone disruptions, thyroid problems, delayed mental and physical development, and even advanced puberty and reduced fertility. Flame retardants can contain boric acid, rayon treated with silica, and polybrominated diphenyl ethers (or PBDEs). Worse yet, manufacturers are not required by to disclose which flame retardants they use. What’s even more troublesome is the fact that recent studies have found chemical flame retardants to ineffectively reduce flammability. Most mattresses since the 1960’s have contained polyurethane foam, a petroleum-based material that emits dangerous levels of VOCs. It’s also a highly flammable product, so mattresses containing polyurethane usually contain higher levels of flame retardants than normal. Studies have also shown that polyurethane foam mattresses covered with vinyl cause severe respiratory problems. Memory foam is essentially made from the same chemicals as polyurethane foam, but contains added chemicals to give it the increased viscosity and density. In a recent study one memory foam model was tested and shown to emit 61 different chemical compounds. Formaldehyde is swimming within the adhesives that hold most conventional mattresses together and it is among the most dangerous chemicals in textiles. The EPA found “statistically significant associations between exposure to formaldehyde and increased incidence of lung and nasopharyngeal cancer.” Long-term exposure has also been linked to respiratory problems including asthma and allergies. Organic Cotton is chemical-free, pesticide-free, pigment-free, bleach-free and hypo-allergenic, making it an ideal mattress material. 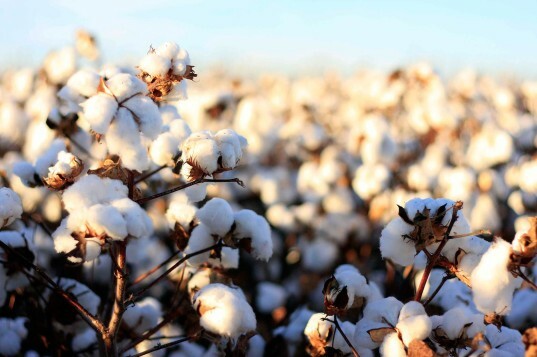 Green mattresses with organic cotton batting are a sustainable choice, and yes, the “organic” does make a difference; conventional cottons still contain pesticides and have been linked to chronic disease including cancer and infertility. The high nitrogen and water content in wool makes it a natural flame retardant that meets federal regulations without containing any harmful chemicals. Wool does not easily ignite and will often self-extinguish. Even when synthetic materials are present, wool reduces flammability more effectively by significantly “reducing the rate fire development and flame spread”. Natural latex is a safer, more durable, more comfortable and longer-lasting alternative to memory foam. Latex rubber is derived naturally from a milky fluid found in over 12,000 plant species including the rubber tree. Its complex make-up consists of proteins, alkaloids, starches, sugars, oils, tannins, resins, and gums that coagulate upon exposure to the air. Natural latex contains anti-microbial properties which make it resistant to dust mites, mold, and mildew. It also helps to eliminate motion transfers and is much more breathable than memory foam, keeping you warmer in the winter and cooler in the summer. If you’re in the market for a new mattress, or simply convinced that it’s time to swap your conventional mattress out for a natural mattress, you’ll want to thoroughly research the best type of mattress for you and be sure to responsibly dispose of your toxic mattress. The NRDC offers a helpful list of options to donate and recycle old mattresses. Some of the more popular companies to buy organic mattresses include Naturpedic, Coco-Mat, and Keetsa, though we recently discovered the most affordable natural mattresses to be from a family-owned business called My Green Mattress, all made primarily with US-based materials. For more information check out MyGreenMattress.com. Youy cannot tell that your product does not cause these: Flame retardants have been linked to asthma, endocrine disorders and cancer, and off-gassing chemicals can collect in your house. And you cannot tell that my mattress cause these problems. This is wrong to tell so. I have given your name to the consumer authorities. When we were kids we were scared of the monsters hiding under our bed, but as adults we should be more concerned with the monsters lurking in our mattress. The average person spends nearly a third of their lifetime sleeping - with their face, nostrils and lungs right above their mattress, inhaling all of the chemicals that are lurking inside. With all that time spent face-on-mattress, it's incredibly disturbing to know that the standard mattress poses more threats to our health than most people ever realize. Conventional mattresses are required by law to contain dangerous levels of VOCs (volatile organic compounds), including flame retardants which are linked to many health issues, including allergies, asthma, hormone disruption, endocrine problems and cancer. These off-gassing chemicals collect in dust and remain circulating throughout your home for years. Fortunately, there are plenty of natural materials that make great mattresses, including wool, organic cotton and natural latex, and if you look carefully and read labels, you can easily find a safe and healthy mattress. Read on for tips to avoid toxic mattresses that are harmful to your health, and discover all the best natural alternatives. Flame retardants are among the most dangerous additives to conventional mattresses. 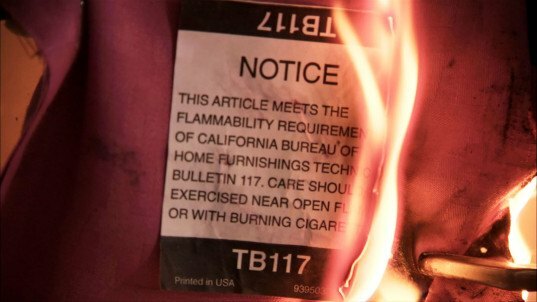 The U.S. Consumer Product Safety Commission (CPSC) requires mattresses to contain flame retardants by law, even though standard chemical flame retardants have been linked to a slew of health issues including skin irritations, hormone disruptions, thyroid problems, delayed mental and physical development, and even advanced puberty and reduced fertility. Flame retardants boric acid, rayon treated with silica, and polybrominated diphenyl ethers (or PBDEs). Worse yet, manufacturers are not required by to disclose which flame retardants they use. What's even more troublesome is the fact that recent studies have found chemical flame retardants to ineffectively reduce flammability. Most mattresses since the 1960's have contained polyurethane foam, a petroleum-based material that emits dangerous levels of VOC's. It's also a highly flammable product, so mattresses containing polyurethane usually contain higher levels of flame retardants than normal. Studies have also shown that polyurethane foam mattresses covered with vinyl cause severe respiratory problems. Memory foam is essentially made from the same chemicals as polyurethane foam, but contains added chemicals to give it the increased viscosity and density. In a recent study one memory foam model was tested and shown to emit 61 different chemical compounds . Formaldehyde is swimming within the adhesives that hold most conventional mattresses together and it is among the most dangerous chemicals in textiles. The EPA found "statistically significant associations between exposure to formaldehyde and increased incidence of lung and nasopharyngeal cancer." Long-term exposure has also been linked to respiratory problems including asthma and allergies. Organic Cotton is chemical-free, pesticide-free, pigment-free, bleach-free and hypo-allergenic, making it an ideal mattress material. Green mattresses with organic cotton batting are a sustainable choice, and yes, the "organic" does make a difference; conventional cottons still contain pesticides and have been linked to chronic disease including cancer and infertility. The high nitrogen and water content in wool makes it a natural flame retardant that meets federal regulations without containing any harmful chemicals. Wool does not easily ignite and will often self-extinguish. Even when synthetic materials are present, wool reduces flammability more effectively by significantly "reducing the rate fire development and flame spread". If you're in the market for a new mattress, or simply convinced that it's time to swap your conventional mattress out for a natural mattress, you'll want to thoroughly research the best type of mattress for you and be sure to responsibly dispose of your toxic mattress. The NRDC offers a helpful list of options to donate and recycle old mattresses. Some of the more popular companies to buy organic mattresses include Naturpedic and Coco-Mat, though we recently discovered the most affordable natural mattresses to be from a family-owned business called My Green Mattress, all made primarily with US-based materials.